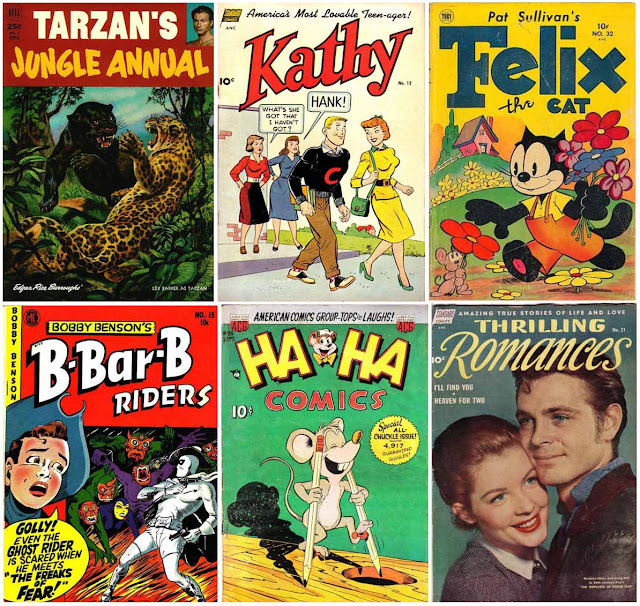 We’re back with the final (for now) installment of the comics on newsstands (et al) galleries. 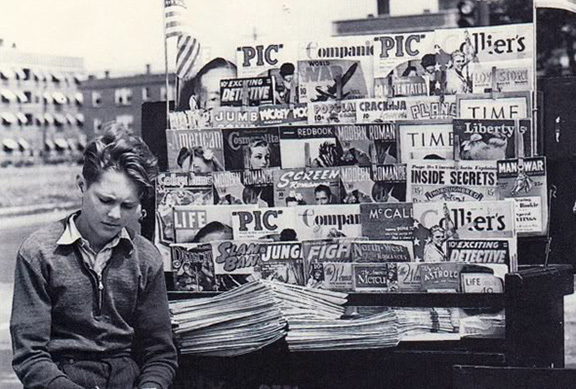 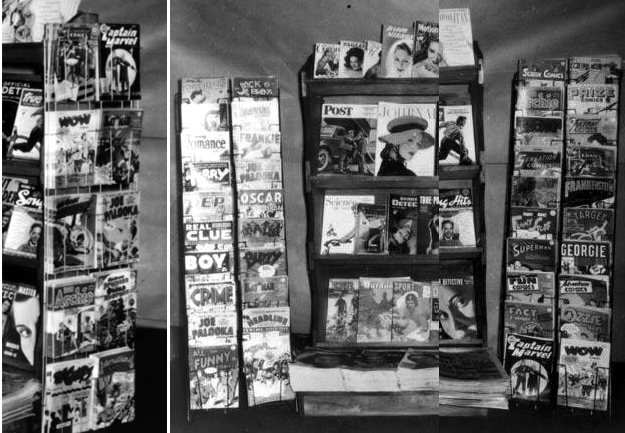 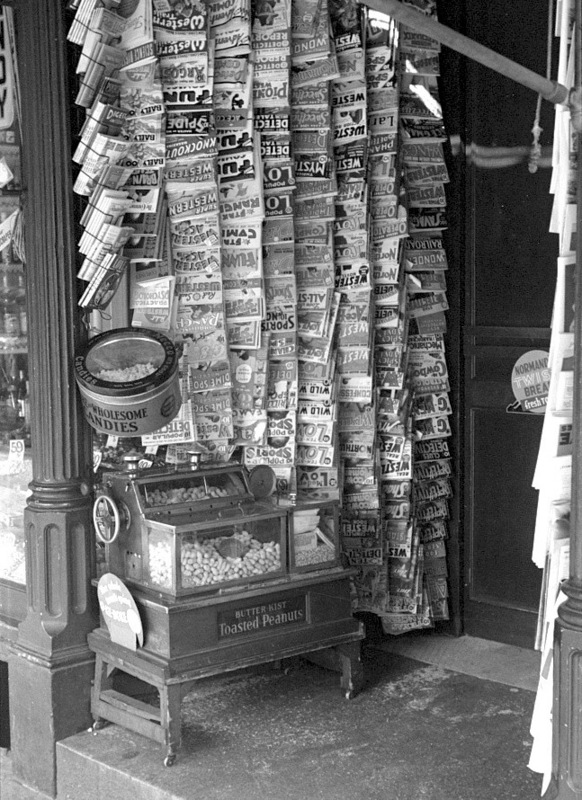 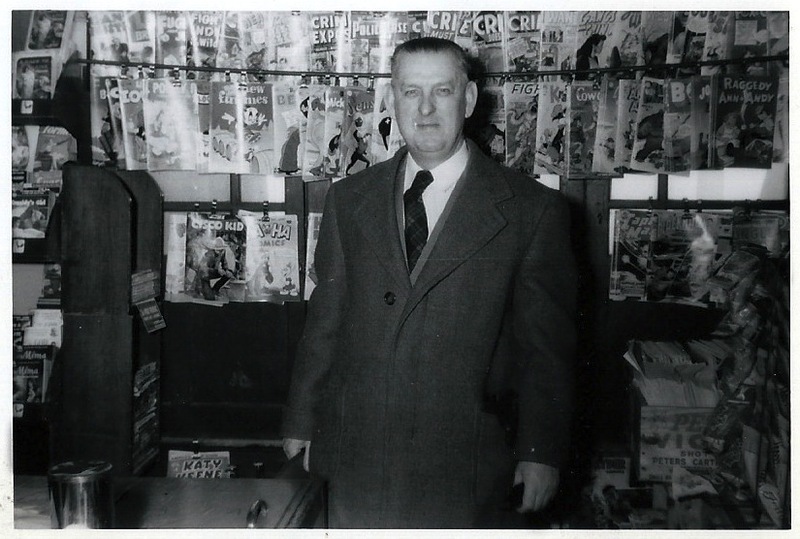 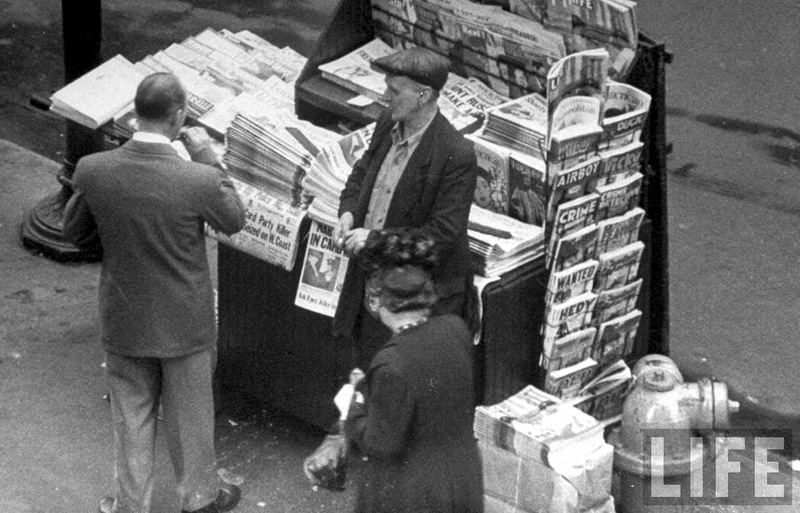 The first picture (from 1937, one year before Superman changed the comic book landscape) features a rather odd choice of magazine display. 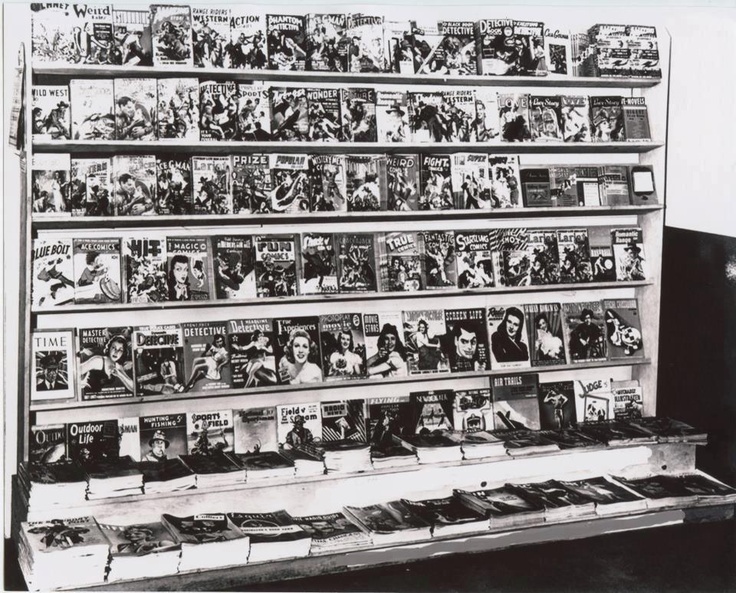 Presumably, the magazines are hung by clips, so if they were right side up, the titles would be hidden. 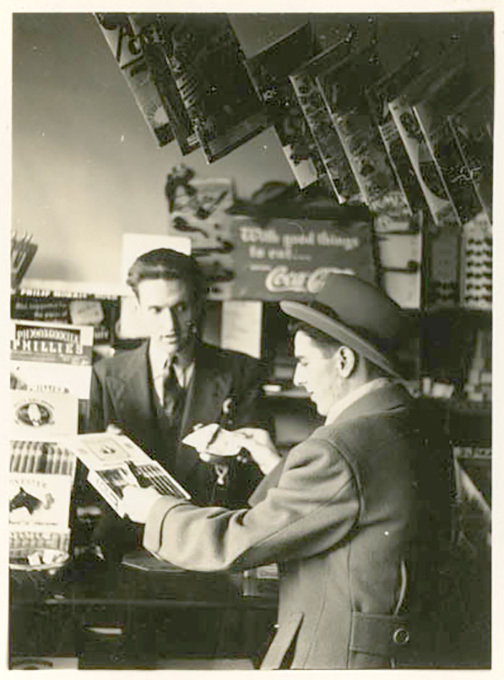 The cornucopia of goodies in the pictures from 1946 are from a magazine exchange shop in Wellston, Missouri. 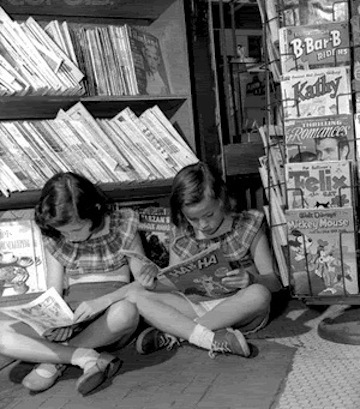 According to the blog, 2 Warps to Neptune, the woman who ran the shop would exchange comics, two for one. 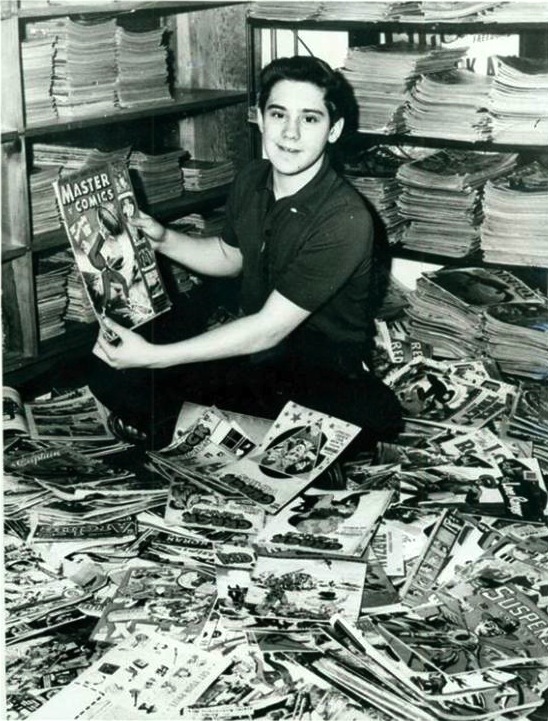 Not a bad deal. 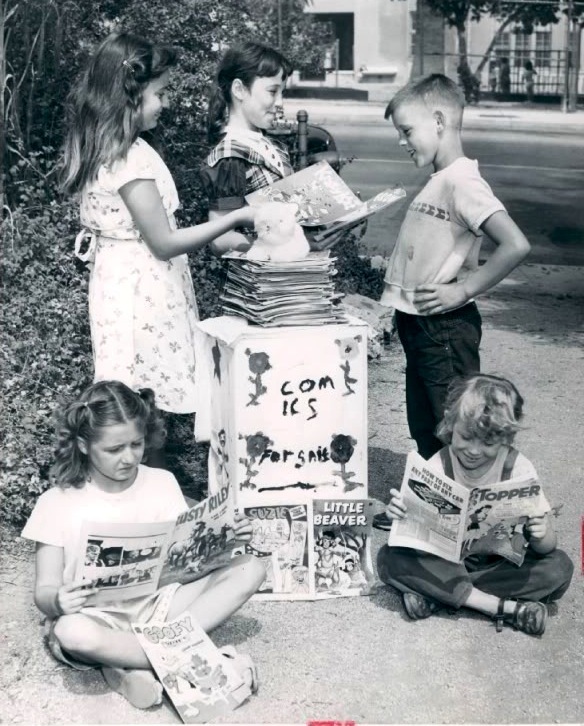 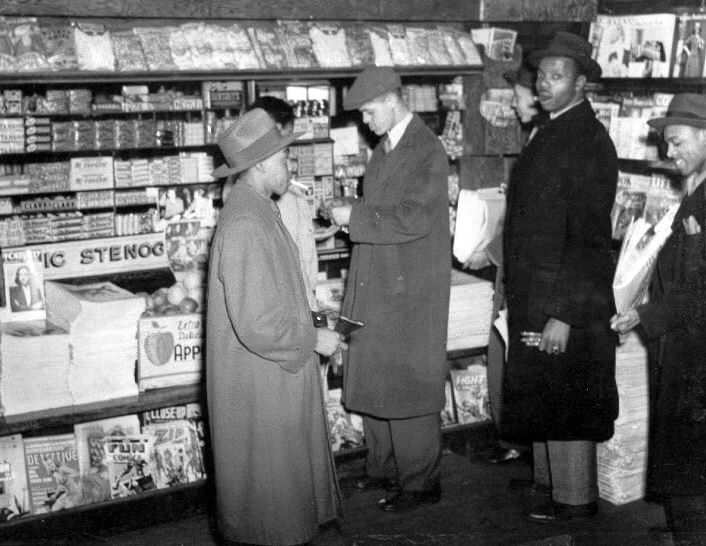 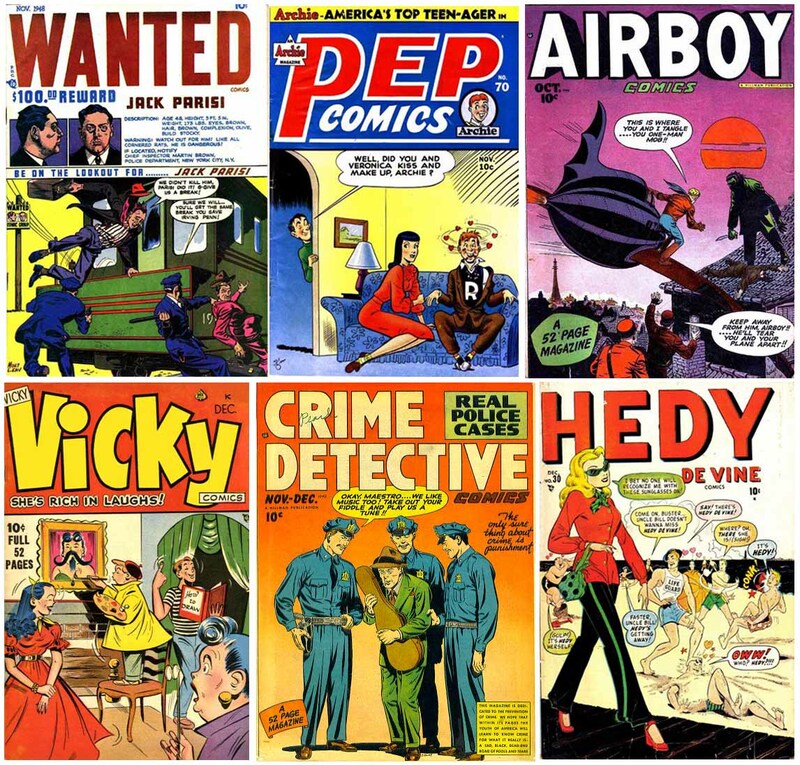 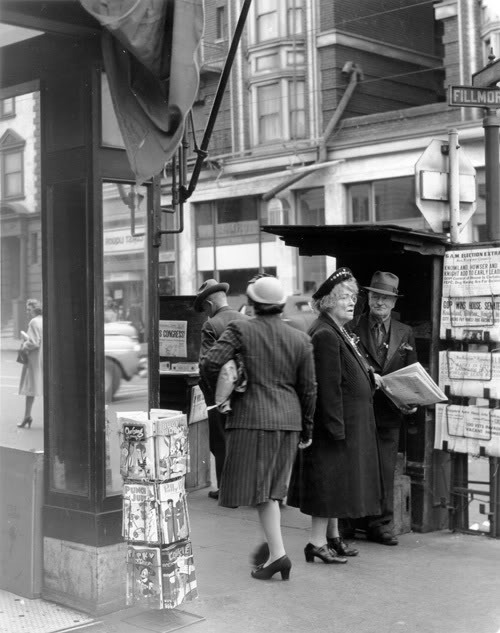 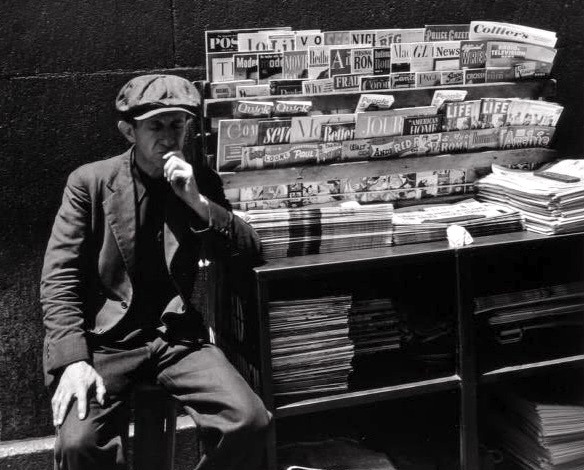 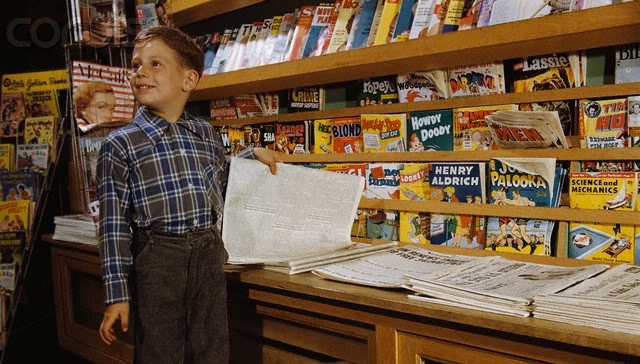 Naturally, that newsstand that the mild mannered reporter and his plucky cohort are standing in front of is a prop, but the magazines on it were real magazines from 1955. 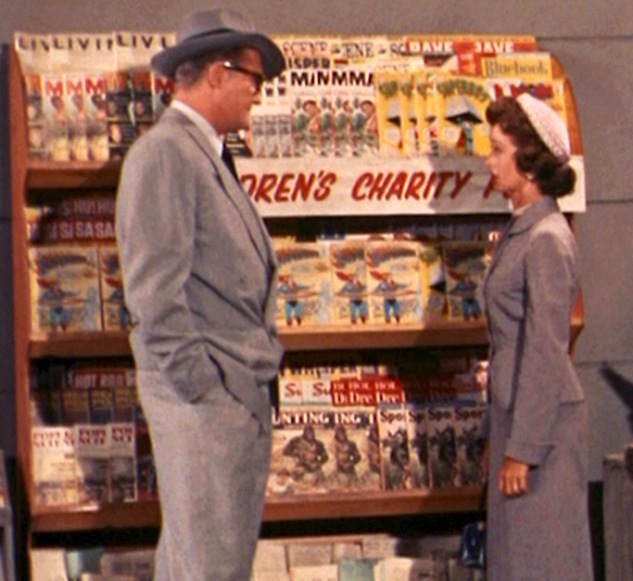 This screencap is from the episode, “The Unlucky Number” from Season 4 of the classic TV series, THE ADVENTURES OF SUPERMAN, which first aired in February, 1956 (we can only assume that Lois didn't look inside those comics, or Clark's secret would've been blown!). 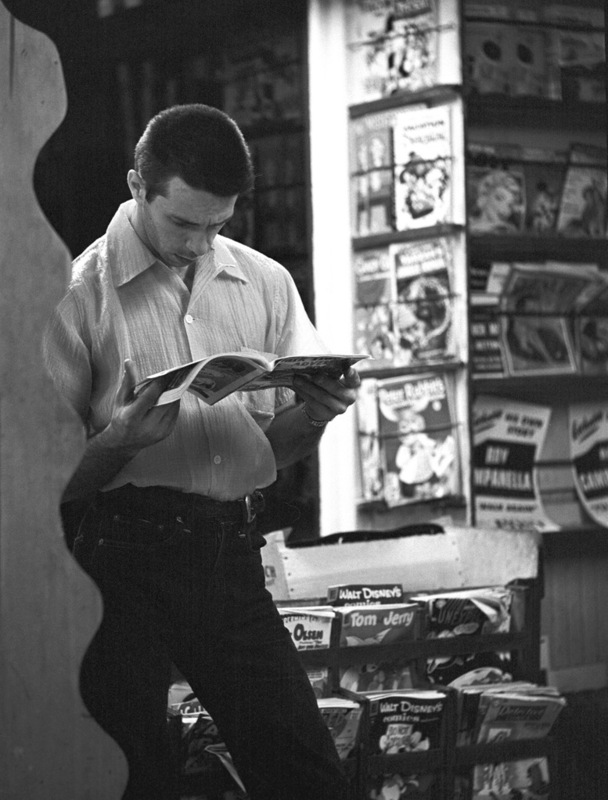 The photo from 1956 shows a world in which the wild west had become pop culture’s primary milieu. 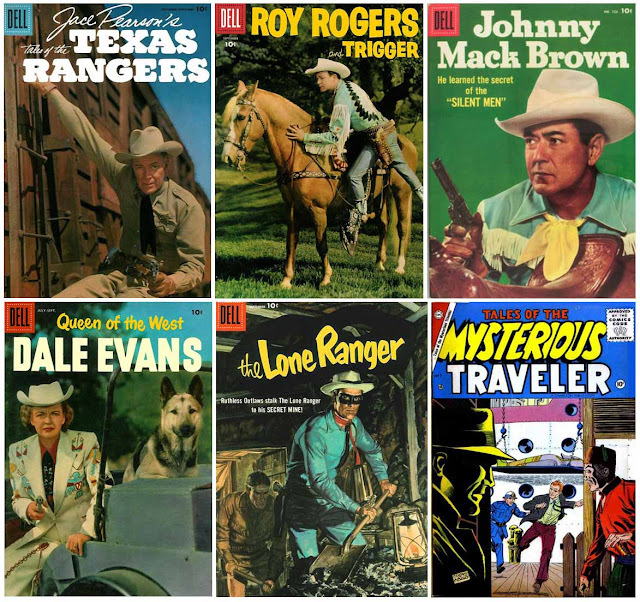 Practically every visible cover in that picture stars a cowboy, cowgirl, or their horse. 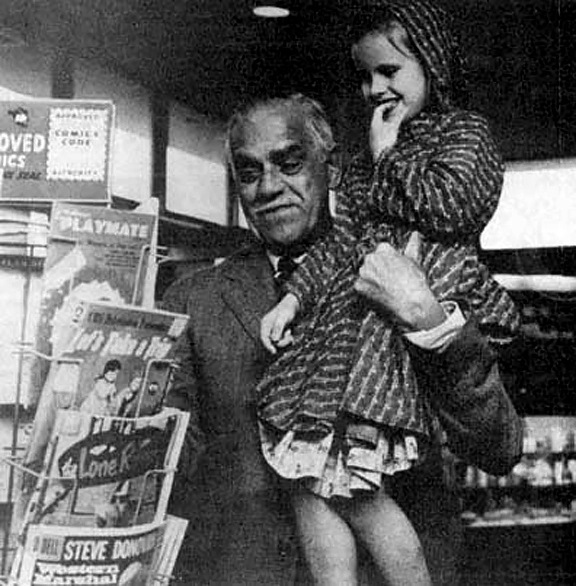 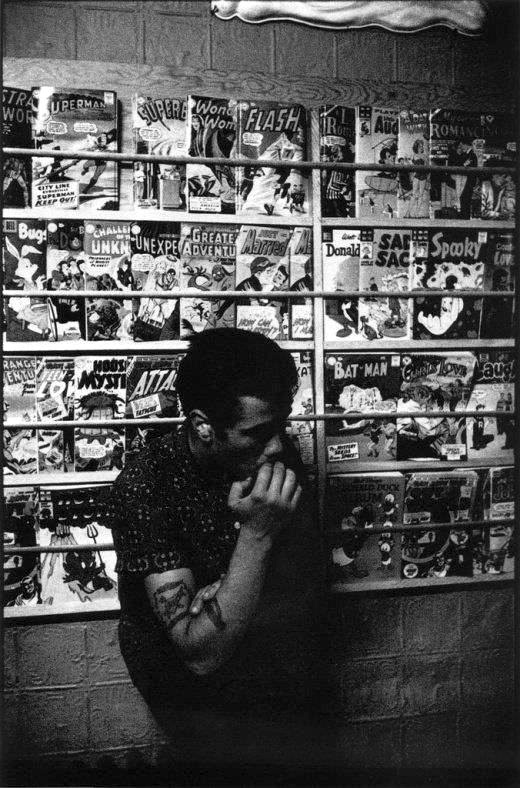 That’s Boris Karloff holding the young lassie looking at the somewhat tepid selection of 1958 comics. There’s another version of this photo floating around the Internet in which some clever Photoshopper replaced the books with classic EC horror comics of some years earlier. 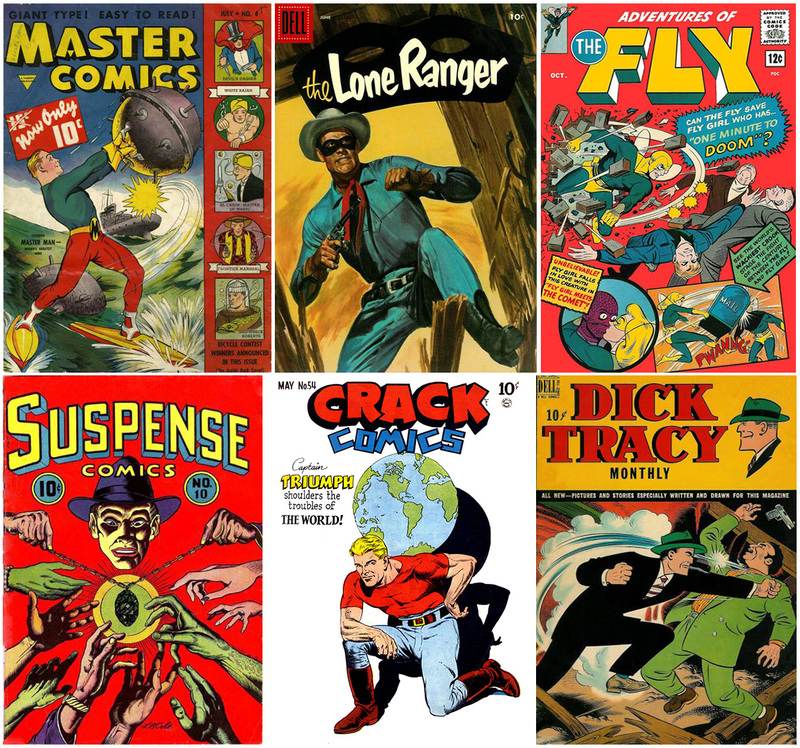 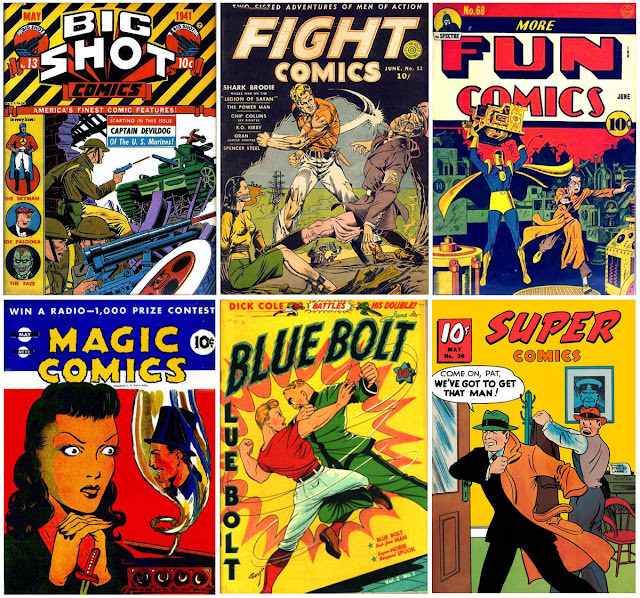 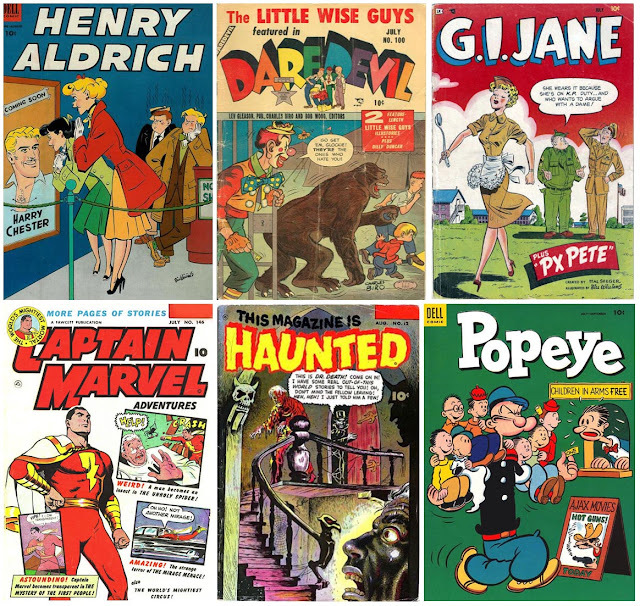 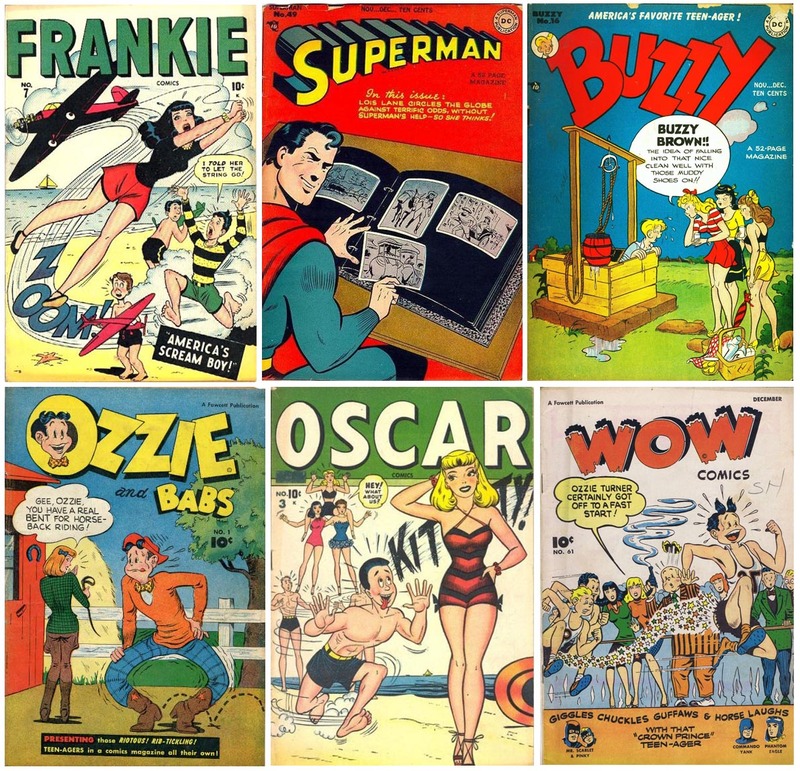 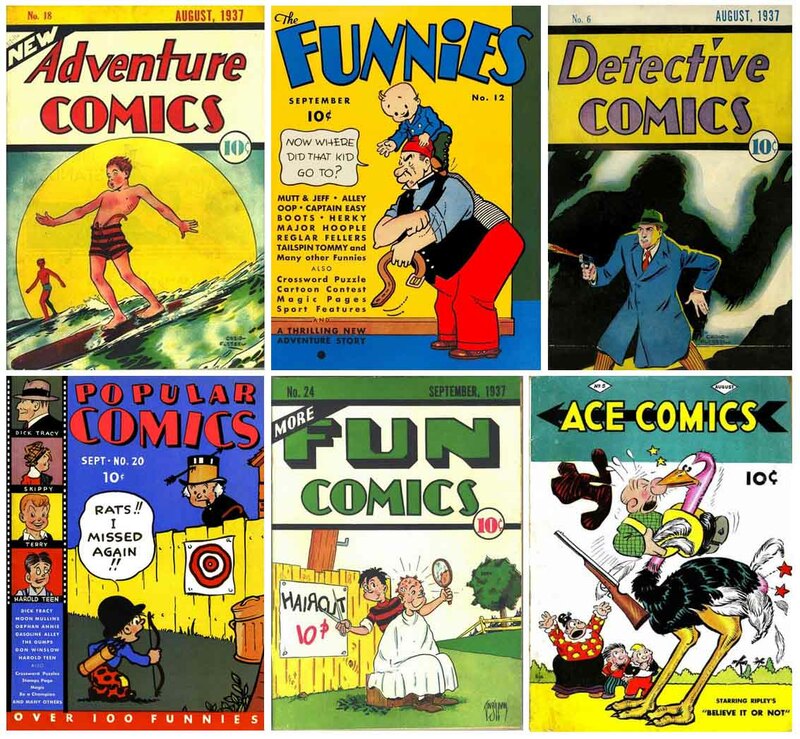 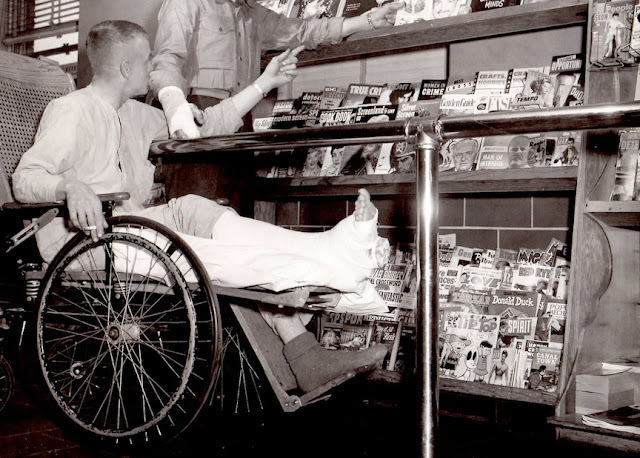 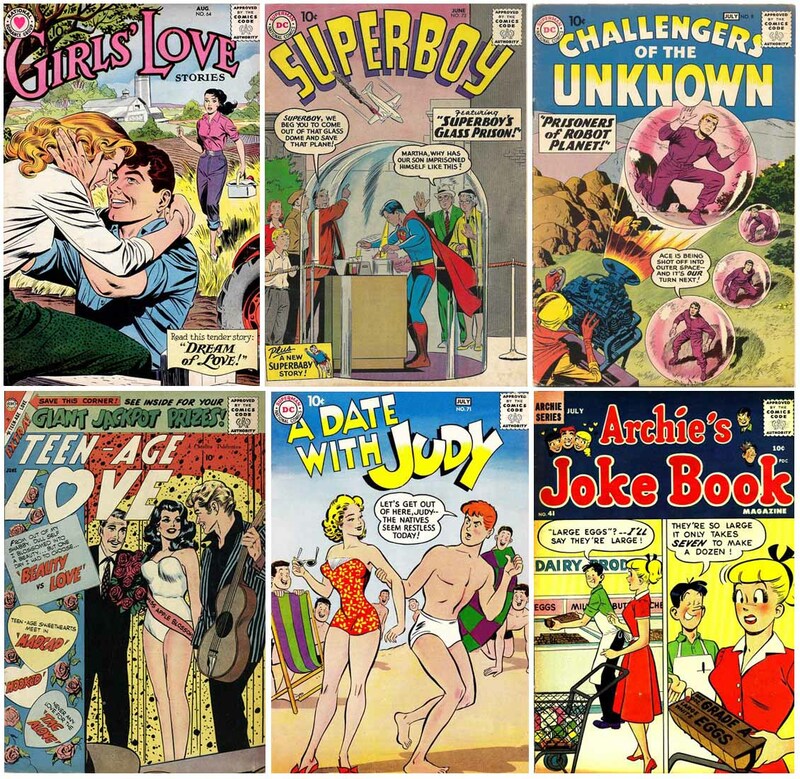 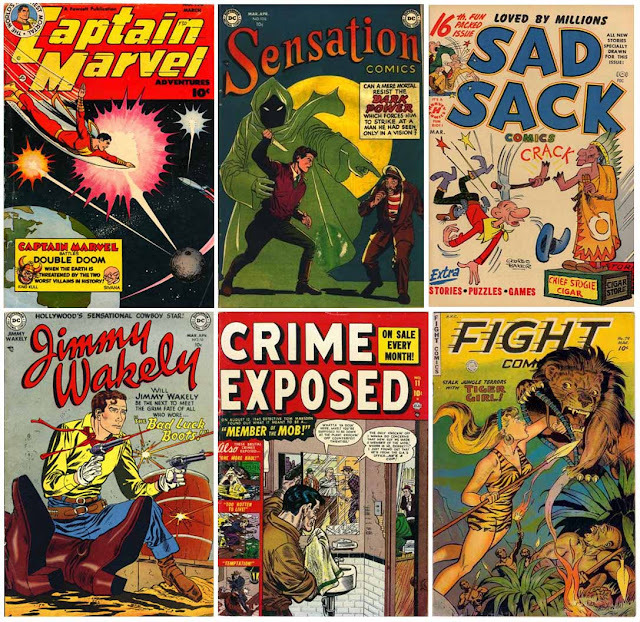 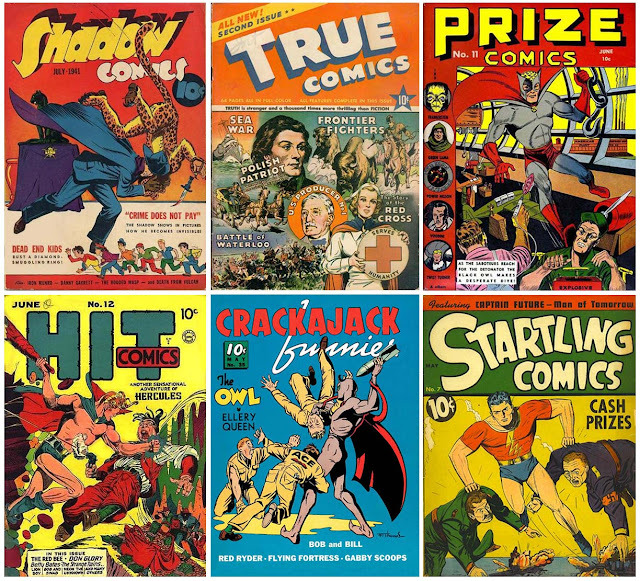 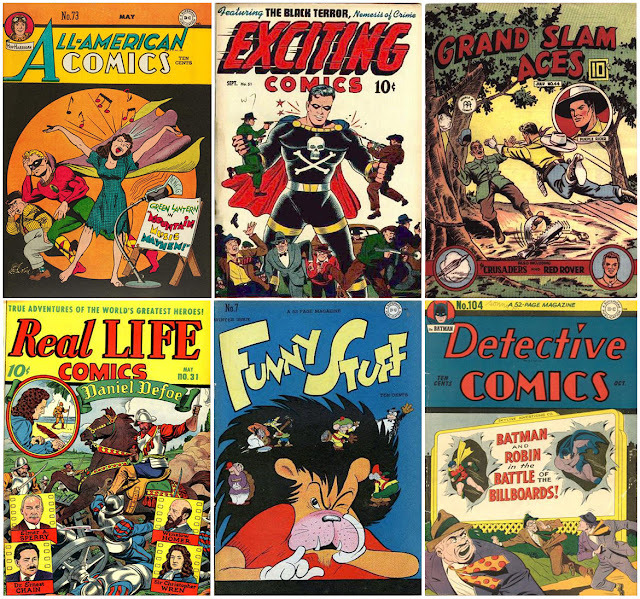 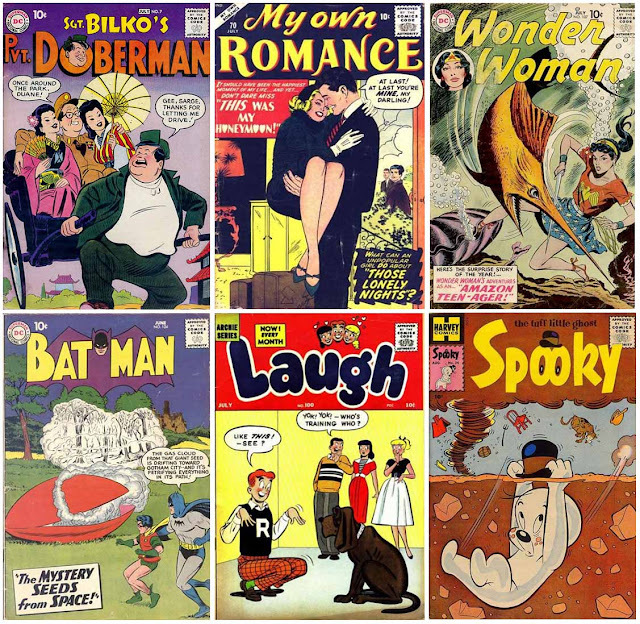 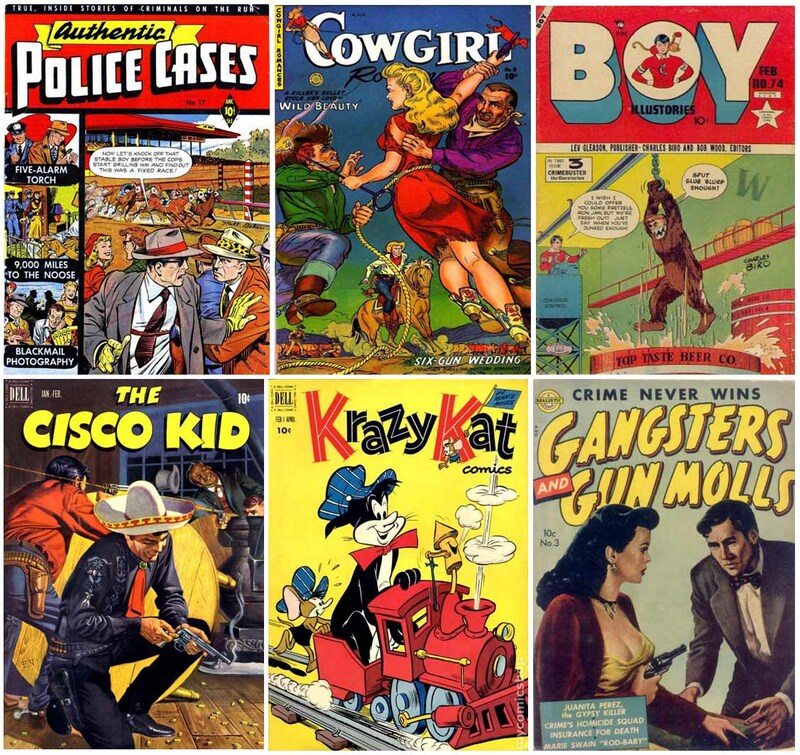 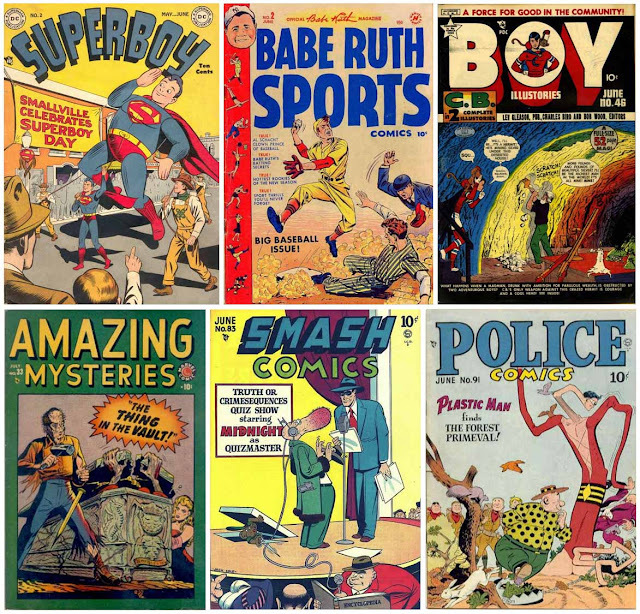 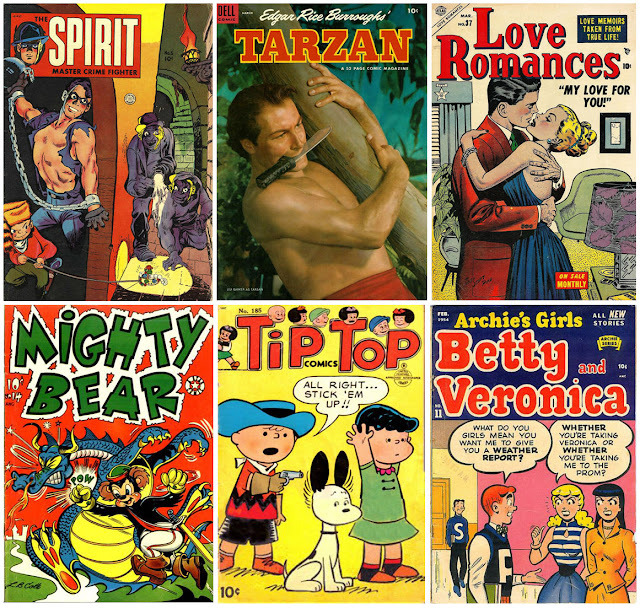 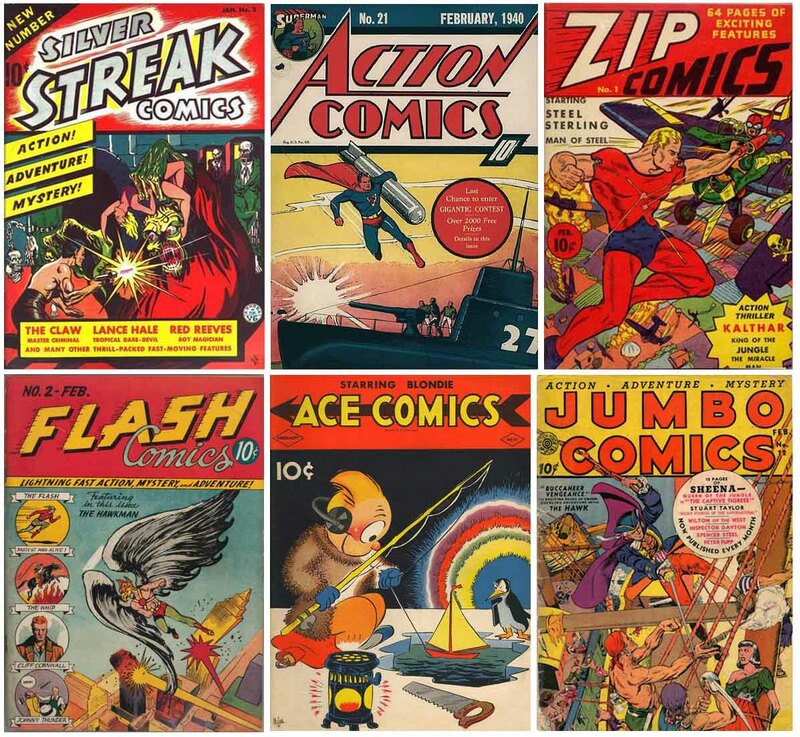 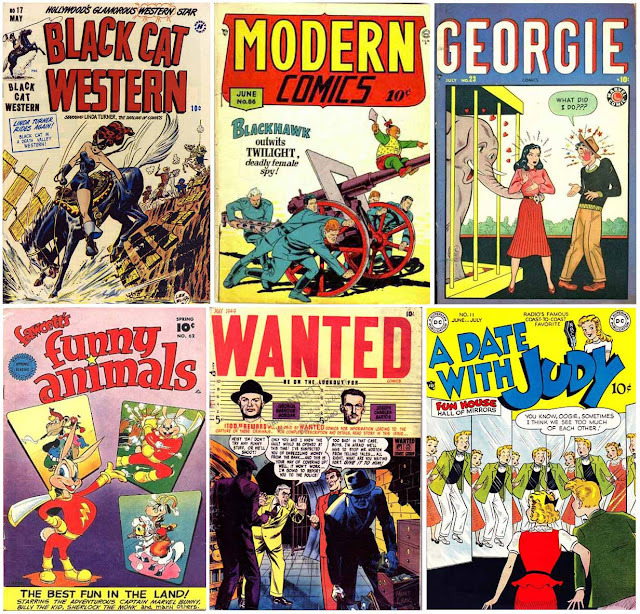 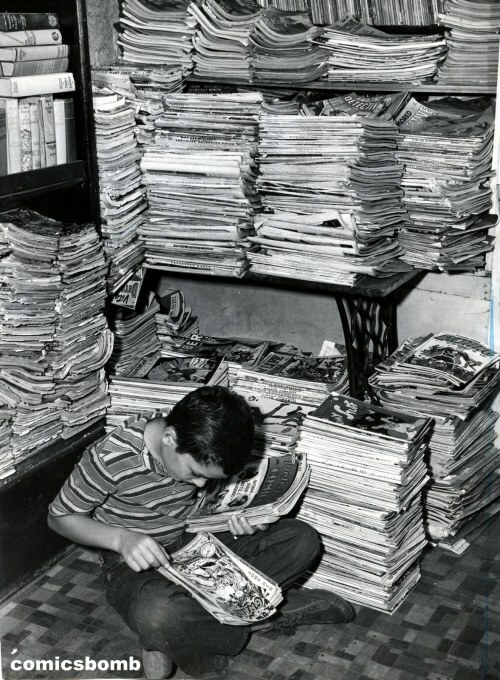 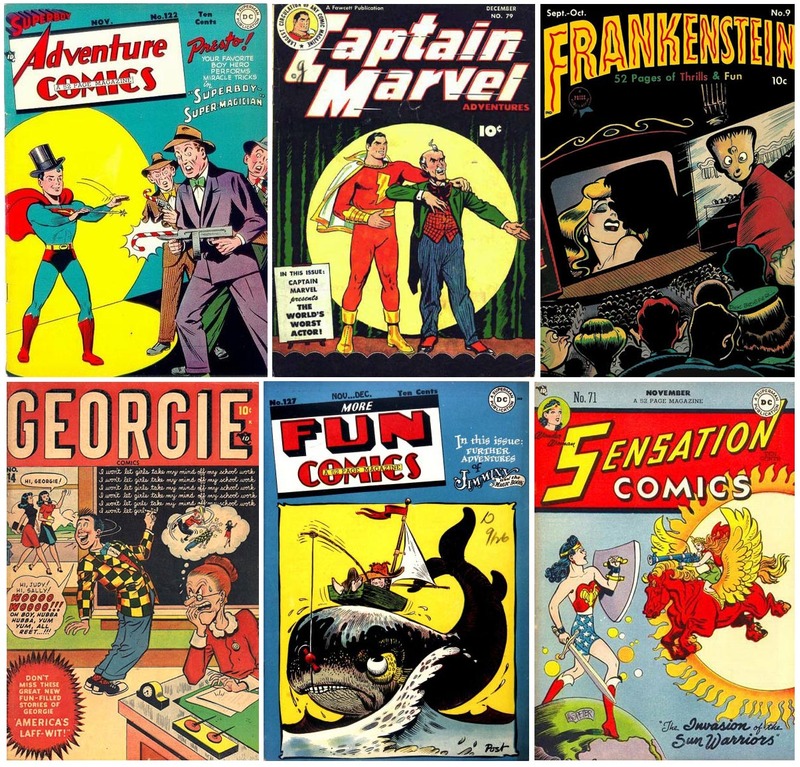 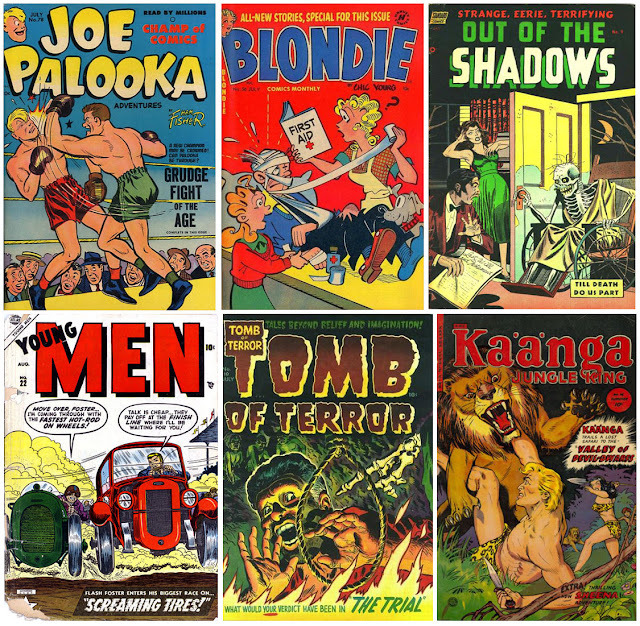 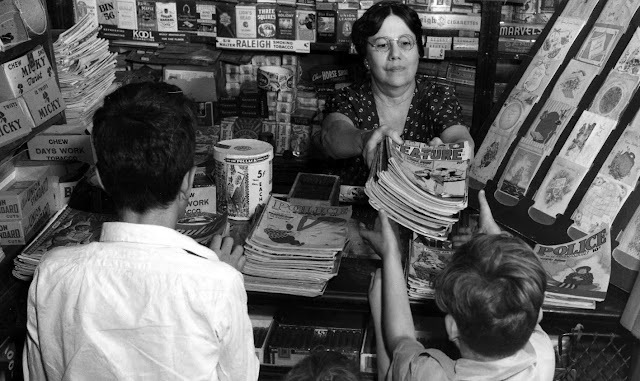 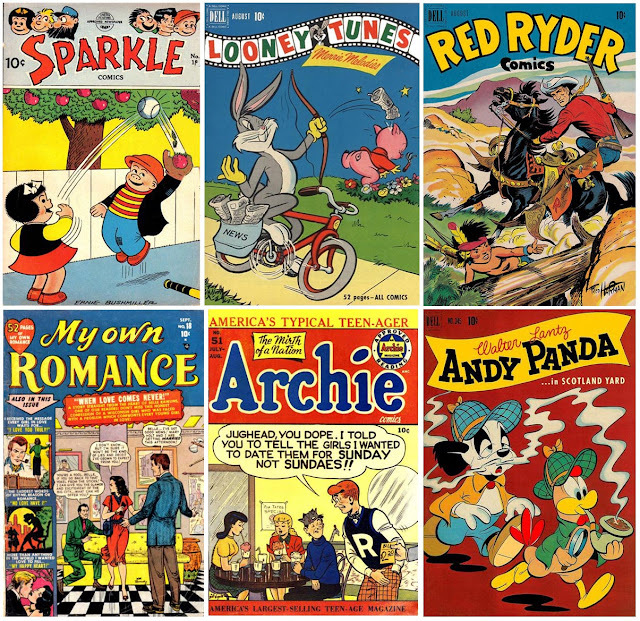 The smilin’ kid in the picture from the 1960s is giddy for a reason: He’s rummaging through a mountain of comic books that span over twenty years back to the 1940s, all for what I can only imagine cost not much more than cover price! Eep! 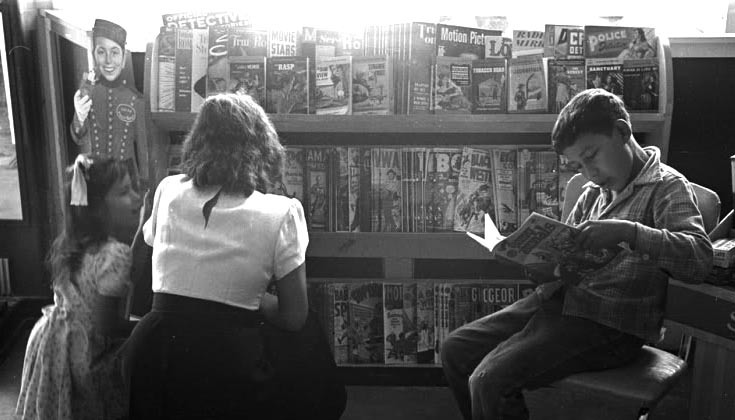 I’ve still been unable to unearth more photos from newsstands of the 1970s, but I shan’t give up the quest! 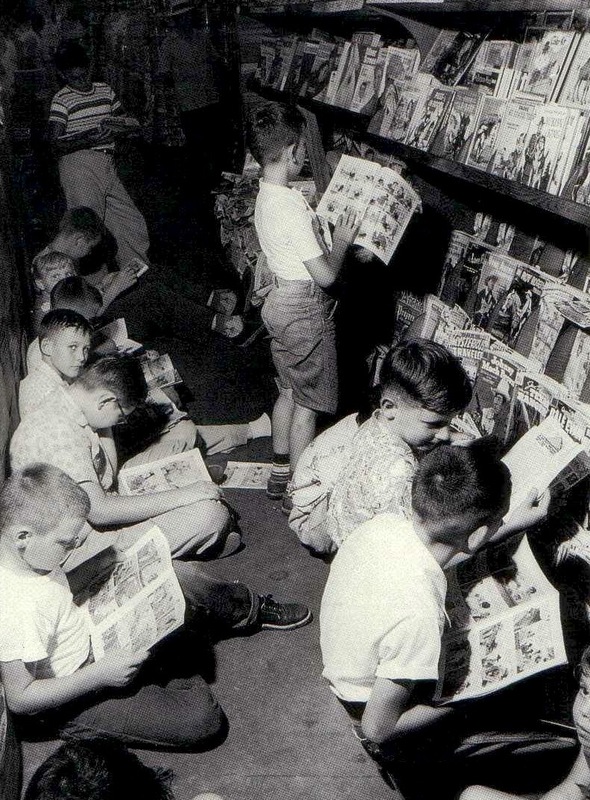 But look for more galleries of comic books being read, perused, and (shudder) burned coming on Pops…!